While tree removal can be a last resort, it is sometimes necessary. Sick, hazardous or dead trees, trees that uproot sidewalks, cause foundation cracks or disrupt sewer lines can all be safely removed.Whether your tree is large or small, young or old, we can diagnose its health and provide you with a comprehensive plan of attack. 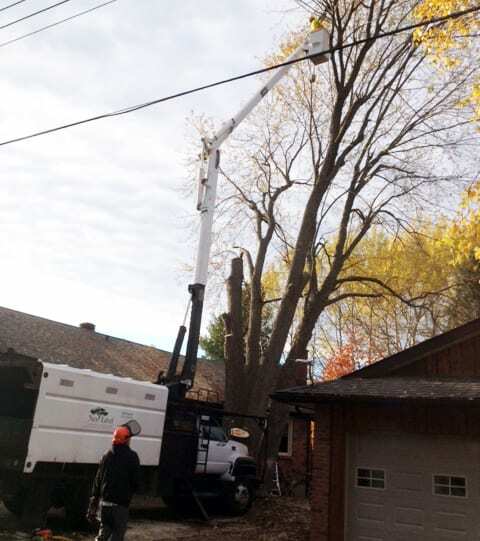 Using our forestry bucket trucks and cranes, we can prune, trim or completely remove any sized tree without worrying about obstacles in the way. 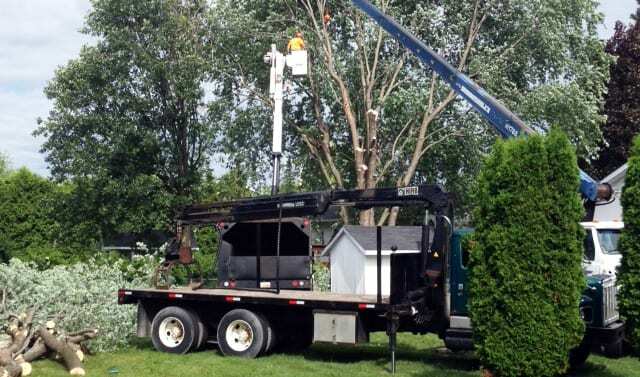 Our team has extensive experience working around homes, outbuildings, hydro lines and anything else that could complicate access. If the tree is not accessible with machinery, climbing through harnesses and spurs are an option, especially for backyard trees. Every work site offers its own challenges. Regardless of the effort your project may require, you can be assured our team will meet your every expectation, and leave the property clean and clear of debris.